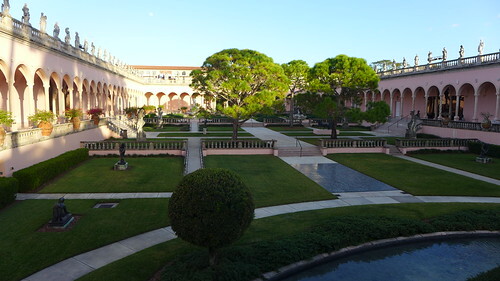 On the way to Saint Petersburg and Tampa, I visited in the afternoon of December 3, 2014 the city of Sarasota to see The Ringling, the State Art Museum of Florida, home to one of the preeminent art and cultural collections in the United States. the Ringling Museum of the American Circus, the Building of Ca’ d’Zan, which was the Homebuilding of Mable and John Ringling with Bayfront Gardens, the historic Asolo Theatre as well the Museum of Art. The visit was a highlight of my trip and is highly recommended.